One decides to go airborne and head for the lake. I didn’t have to ask what these gulls were doing in the parking lot at Albany’s Timber-Linn Park on this February day. 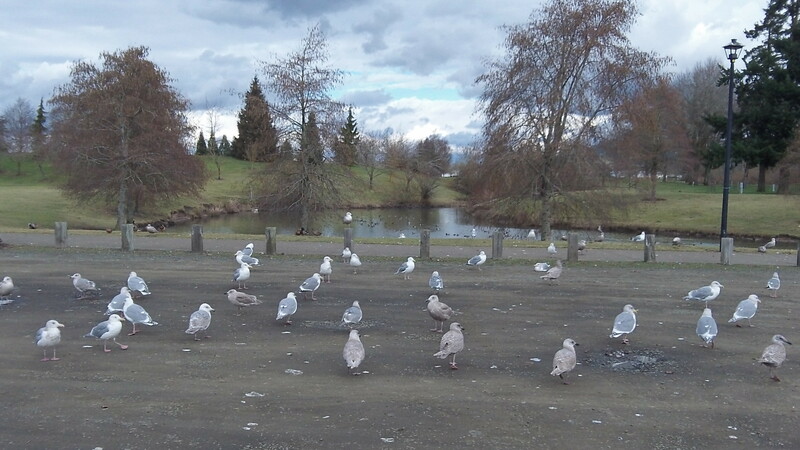 They were waiting for somebody to come around to feed the ducks in the lake, and they meant to be there to claim their share. 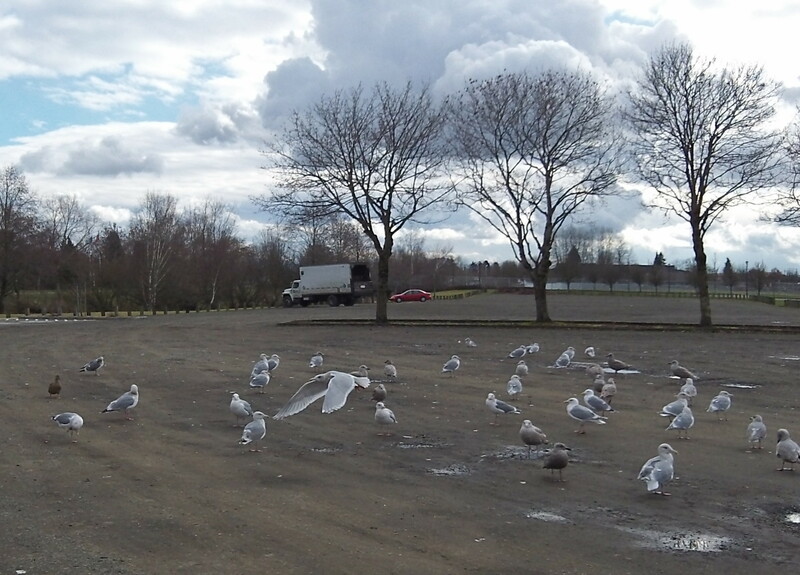 I’m no bird expert, but these winter visitors looked like glaucous or western gulls, or maybe a mix of both. As you can see, they turned away when I got close and they could see I had only a little camera in my hand and no food at all. Judging by the flecks on the ground, this flock had been around a little while. We often call these graceful flyers seagulls, but that’s a misnomer because they are common even far from the coast.